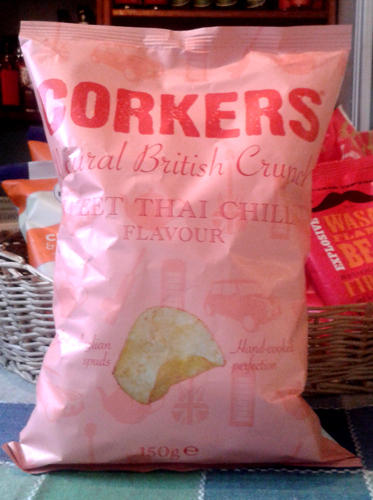 We supply hand picked deliciously tempting snacks made in the UK including British crisps, pop corn, fritas and chilli puffs. Go on, treat yourself. 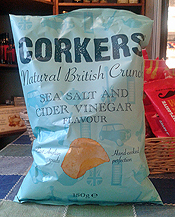 Great with a Devon beer, fruit wine or Devon lemonade. Hand cooked British crisps. Prepared carefully in sunflower oil to Corkers special recipe. 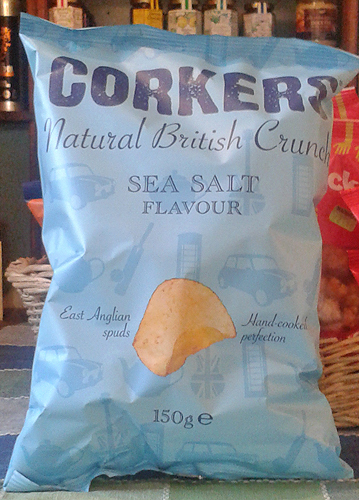 Sliced very thin to give a good curl and crunch. 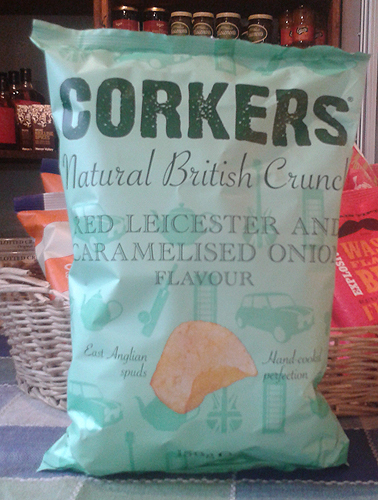 Red Leicester and Caramelized Onion. 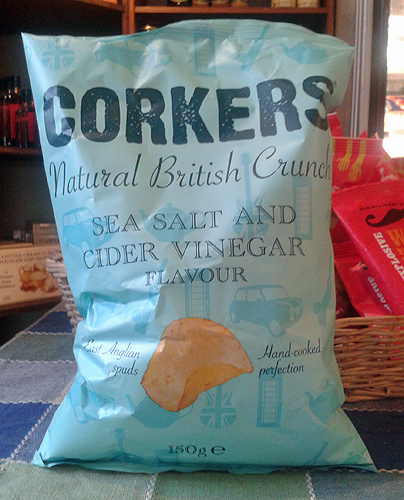 Sea Salt and Cider Vinegar Crisps. 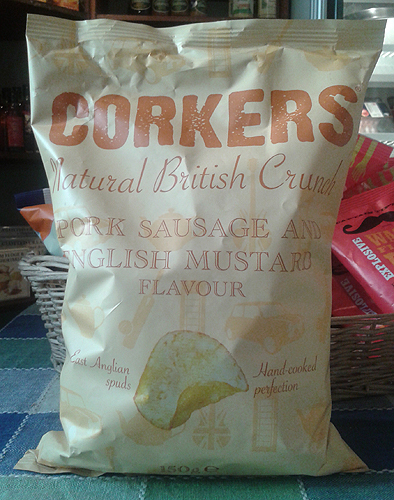 Pork Sausage and English Mustard Flavour Crisps. 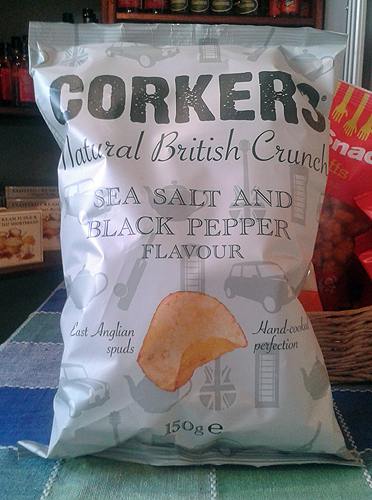 Sea Salt and Black Pepper Crisps. 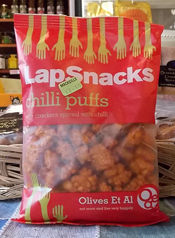 Olive et al Chilli Puffs.